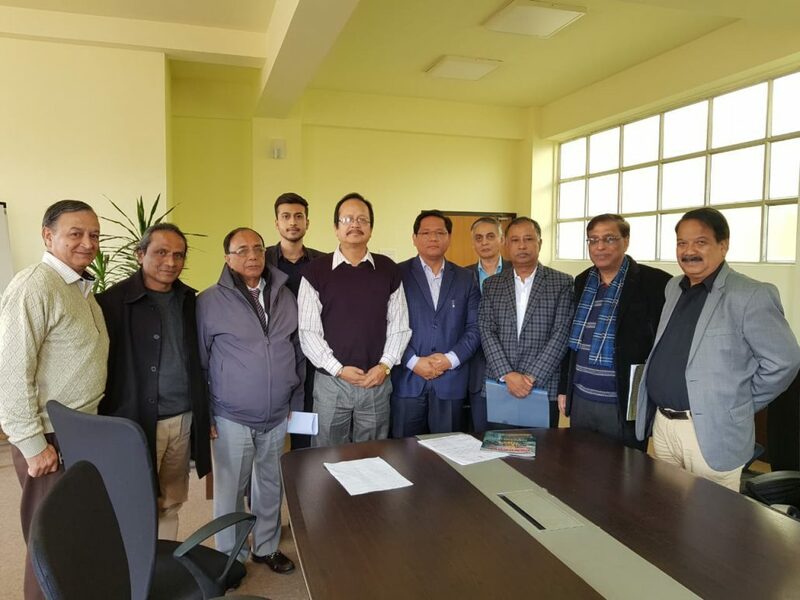 A delegation of Television Producers Forum of North East India met Meghalaya Chief Minister, Conrad K Sangma on Friday to appraise him about the plight of creative artistes of North East India. Creative artists have been facing tough times due to the sudden discontinuation of the Commissioned Programme in 2012 by the Prasar Bharati Broadcasting Corporation of India, which was routed through Doordarshan Kendra. The delegation led by TV producer, Deepak Kumar Datta handed a memorandum to the chief minister which was also addressed to the Prime Minister, Narendra Modi. Raphael Warjri, Dr Kamal Jhunjhunwala and Bah Keith A Pariat represented the delegation from Meghalaya. The memorandum highlighted the purpose of the scheme under the initiative of the Prime Minister since 1992 titled ‘North East Special Software Package’, which was part of the initiative for North East Development Scheme for Doordarshan Kendra of all the eight North Eastern States. The memorandum talked about benefits of local artistes and technical personnel from the region in showcasing their creativity and originality in the programme content. It is estimated that around ten thousand people were affected since 2012 because of the discontinuation of the Commissioned Programme, and majority are scattered elsewhere in the country for better avenues, while the rest were deprived of their livelihood due to lack of sufficient opportunity in the region. In this regard, the Forum had earlier requested the Prime Minister Office to examine, scrutinise and reconsider the revival of the scheme to enable creative persons of the region to remain in their homeland and generate innovative programmes that will reflect the actual scenario of the region for the rest of the world. During the implementation of the scheme from 1996 to 2012, annually, the Centre sanctioned around 200 crore rupees under the scheme, and a wide range of programmes were produced by several producers and directors of the region. The Meghalaya Chief Minister has assured to take up the issue seriously and told the delegation that he shall consult with all the Chief Ministers of the region to jointly negotiate with the Prime Minister. He expressed confidence that the scheme would be revived for the survival of many creative people and for displaying the development and progress of the region in every field.